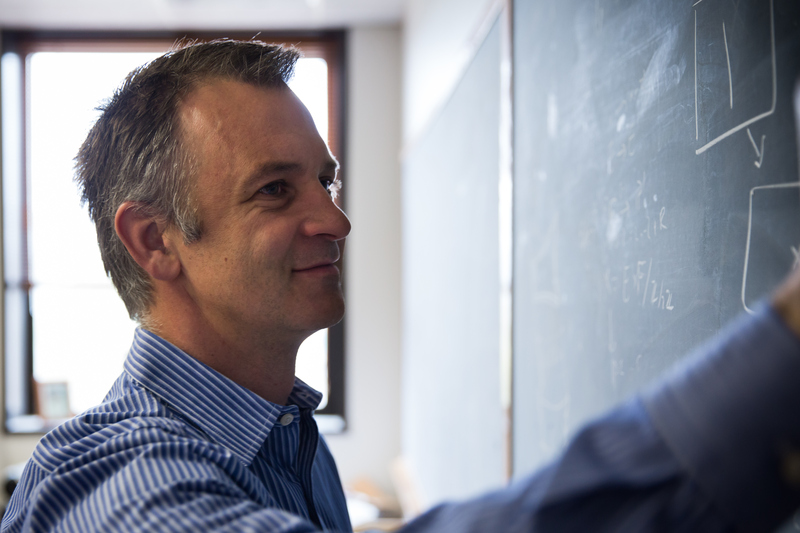 Distinguished professor of mathematics Christopher Hacon, who has significantly advanced the field of algebraic geometry, was elected May 1 as a member of the National Academy of Sciences. Hacon is among 84 U.S. scientist-scholars and 21 foreign associates from 15 countries elected at the Academy’s Annual Meeting in Washington, D.C. He joins 20 other current University of Utah researchers who’ve been elected to one of the three National Academies, which also include the National Academy of Engineering and National Academy of Medicine. The National Academies recognize scholars and researchers for significant achievements in their fields and advise the federal government and other organizations about science, engineering and health policy. With today’s elections, the number of National Academy of Sciences members stands at 2,382, with 484 foreign associates. Hacon’s field of algebraic geometry studies the geometric solutions to algebraic equations. At lower dimensions, the shapes that the solutions take are familiar to us, such as parabolas or cones. At higher dimensions the number of solutions is infinite but, as Hacon and former U postdoctoral scholar James McKernan proved in 2009, the set of possible shapes of fixed dimension and fixed volume is finite. Hacon’s work has wide implications, since algebraic geometry has connections to many other fields in mathematics and beyond. He has been honored with prestigious awards such as the 2018 Breakthrough Prize in Mathematics, the 2016 EH Moore Research Article Prize, the 2015 Distinguished Scholarly and Creative Research Award from the University of Utah, the 2011 Antonio Feltrinelli Prize in Mathematics Mechanics and Applications, the 2009 Frank Nelson Cole Prize in Algebra and the 2007 Clay Research Award. He is a member of the American Academy of Arts and Sciences, a fellow of the American Mathematical Society and holds theU’s McMinn Presidential Chair in Mathematics. Below are lists of current or former University of Utah faculty elected to one or more of the National Academies. Note that some were elected before or after their tenure at the university, and that some have died since their election. National Academy of Sciences: Brenda Bass, Cynthia Burrows, Mario Capecchi, Dana Carroll, Thure Cerling, James Ehleringer, Kristen Hawkes, James O’Connell, Baldomero “Toto” Olivera, C. Dale Poulter, Peter Stang, Wesley Sundquist, Polly Wiessner, Henry Harpending, Jesse D. Jennings, Cheves Walling, Sidney Velick, John R. Roth, Josef Michl, Ray White, Julian Steward, Jeremy Sabloff, Simon Tavaré, Henry Eyring and Louis Goodman. National Academy of Engineering: Jindrich Kopecek, R. Peter King, Adel Sarofim, Sung Wan Kim, Gerald Stringfellow, Donald Dahlstrom, George Hill, Jan D. Miller, Milton E. Wadsworth, Thomas G. Stockham, John Herbst, Stephen C. Jacobsen, Willem J. Kolff, Alex G. Oblad, Anil Virkar and William A. Hustrulid. National Academy of Medicine: Mario Capecchi, Wendy Chapman, Sung Wan Kim, Vivian Lee, Baldomero “Toto” Olivera, Stephen C. Jacobsen, Eli Adashi, Paul D. Clayton and Homer R. Warner.